When, on 28 September this year, a run-of-the-mill spring storm brought buffeting winds to South Australia, wind speeds exceeded 25m/s (90km/h), the bulk of its 18 wind farms saw their turbines shutdown automatically to protect themselves from catastrophic self-destruction. Metropolitan Adelaide was without power for hours, regional centres without power for days and mines in the north of the state were without power for close to a fortnight. The cost to businesses and households was astronomical and perfectly avoidable. Had South Australia’s hapless Labor government taken up the offer from Alinta to keep its Port Augusta baseload plant running, there would have been no ‘system black’ at all. 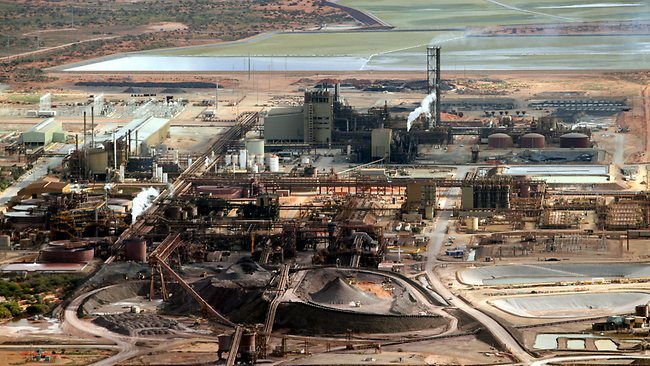 Instead, Alinta mothballed its Northern Plant. The result of that ridiculous decision will cost South Australians dearly, starting with the staggering cost of ‘Black Wednesday’. A statewide blackout that crippled South Australia in September and led to a review by Australia’s chief scientist into the country’s electricity market cost industry at least $367 million and could have been much worse, a study by a peak business group has found. The results of a comprehensive survey of Business SA members of the impact of the September 28 blackout released today also found many did not have business interruption insurance and, of those who did, more than half were not covered for losses resulting from the outage. The overall financial impact on South Australia was a loss of $367m but, in occurring late in the trading day, the effect of the blackout was lower than it would have been if it had happened first thing in the morning. “Considering 70 per cent of respondents had power restored within 24 hours we are looking at a cost of close to $120,000 per minute for business in the state,” the report found. During the September statewide blackout, BHP Billiton’s Olympic Dam mine in South Australia’s far north was without full power from September 28 to October 13. Olympic Dam’s asset president Jacqui McGill last week said the September blackout, and a second outage on December 1 had cost the miner $100m and “we can’t keep absorbing these kinds of costs”. The Business SA study found the median trading and production losses for businesses affected by the blackout was $3500 with median wages paid, even though businesses were non-operational, of $1500. However, the survey also revealed that many members were not affected by the blackout and, for others, the impact was reduced by the fact the loss of power occurred late in the trading day at 4.18pm on September 28. Responses to the Business SA survey from the Eyre Peninsula, where power was out for three days, revealed a regional impact of more than $8m, with median losses almost double the rest of the state at almost $10,000. “While business has been pummelled with higher energy prices for the past 18 months, the blackout dealt a real body blow to the state’s economy at a time when it least needed it,” Business SA’s industry executive director Anthony Penney said today. More than 200 businesses responded to the survey. Of those respondents, only 12 per cent had backup generators to cope with the loss of power. “It was a very high price to pay. The one ‘benefit’ out of the blackout was it put the issue of electricity pricing and security of supply firmly on the national political agenda,” Mr Penney said. “Business SA looks forward to positive action by both federal and state governments in coming months. Business SA also rejected claims by South Australian Treasurer and Energy Minister Tom Koutsantonis that brown-outs occur regularly throughout summer. “There have only been three in the past decade, excluding the blackout of September 28,” Mr Penney said. Today’s report comes as the Prime Minister meets in Canberra with state and territory leaders for the Council of Australian Governments meeting, where affordability and reliability of electricity is top of the agenda. Olympic Dam: BHP counts the cost of SA’s wind power debacle. In a week the nation was presented with shock news our economy shrank by 0.5 per cent in the September quarter there was an attempt to revive a proposal to deliberately increase our already high energy costs. Amazingly, this flirtation with an “emissions intensity” electricity sector scheme was encouraged by a Coalition government that came to power on a platform of scrapping Labor’s carbon tax and shunning any carbon price or emissions trading scheme. Malcolm Turnbull has deflected blame on to Environment and Energy Minister Josh Frydenberg, but in reality the Prime Minister shares the embarrassment. It was Mr Turnbull who had to handle the fallout at the Council of Australian Governments meeting yesterday, when he rightly reaffirmed the predominant energy priorities of security and affordability. 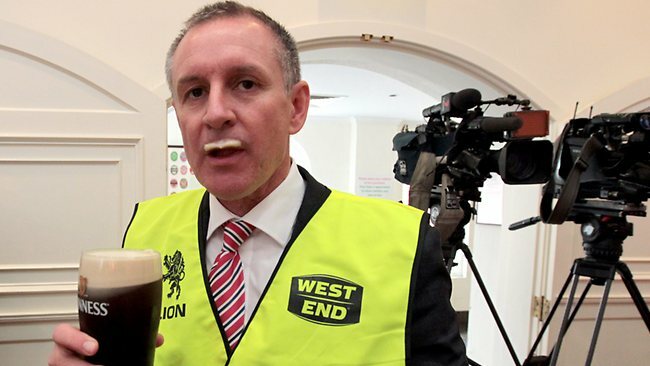 In perhaps the greatest display of chutzpah seen in Canberra, South Australian Premier Jay Weatherill attempted to lecture Mr Turnbull on energy policy. South Australian Labor has been in power for 14 years, during which it has dramatically increased the renewable energy share to more than 40 per cent, failed to build a NSW interconnector it promised in 2002 and has watched two major coal-fired baseload generators close. 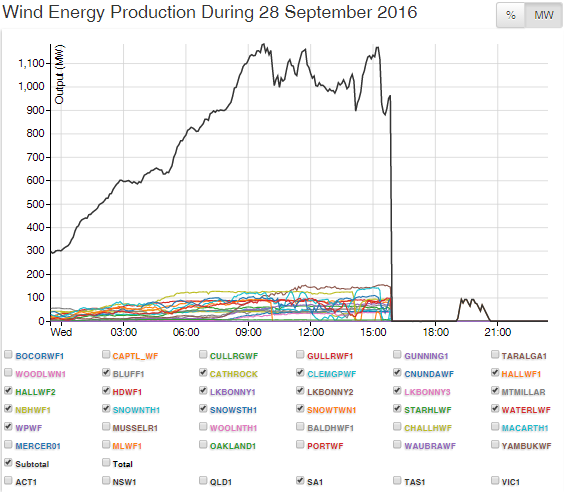 In September the entire state was blacked out in a storm because wind farms tripped and a surge cut supplies from Victoria. There was no coal or gas generation immediately available to restart the grid. This needless blackout cost the state $367 million, but the blow to investor confidence was probably more damaging. Another failure and major blackout occurred this month. For all this unreliability of supply, South Australians pay the highest power prices in the nation. And Mr Weatherill’s advice to the nation is to increase these cost pressures through an emissions intensity scheme. Renewable energy lobbyists, climate activists and Labor and Greens MPs continue to push for a carbon price. A preliminary report by Chief Scientist Alan Finkel compared three methods of delivering additional emissions reductions, finding an emissions intensity scheme would be less costly than an extended renewable energy target or a regulated cap. This is a useful observation but doesn’t change the fact the government’s policies are on track to deliver the 2030 emissions reduction target. So any government interested in investment, growth and jobs will understand the core challenge in energy policy is not to cut more emissions but to guarantee adequate supply at the lowest possible prices. West Australian Premier Colin Barnett hit the nail on the head when he expressed dismay at a nation with enviable energy resources making such a mess of using them. There are paradoxes aplenty. Queensland Labor Premier Annastacia Palaszczuk wants to move away from coal-fired power to renewables but is happy to back the massive new Adani coalmine for export. Victorian Labor Premier Daniel Andrews also wants low-emissions power generation but bans onshore gas exploration. And Mr Weatherill wants to tackle his most expensive electricity problem with a new cost on generation. With a slowing economy, investment in retreat and people worried about jobs, the time for grand climate gestures in energy policy is over. Australia produces only 1.3 per cent of global emissions, which are still rising despite our cuts, so we cannot save the planet. We should play our proportionate role and no more. We need governments to show leadership by delivering policies that encourage secure supplies of the economy’s energy lifeblood at affordable prices. DATA more valuable than hurling epithets for Wind turbine cause? Not sure you have written enough for us to understand whether you are criticising STT for the three succinct paras that we used to introduce the 2 articles from The Australian or those articles themselves? The fact that a major Australian daily is writing on the topic, including editorial opinion, is a fact worth sharing, unless you either support wind power or believe the battle against it has been won. So, what was your point? The most important lesson from this is that decisions about such an important issue for any civilised country, namely the electricity supply, should not be made by politicians. The need for a reliable electricity supply is far too important to let politicians anywhere near. Leave it to power engineers and you would never have any unreliables.